Drop by the art studio between 12:30 and 2:30 for this all-ages workshop. 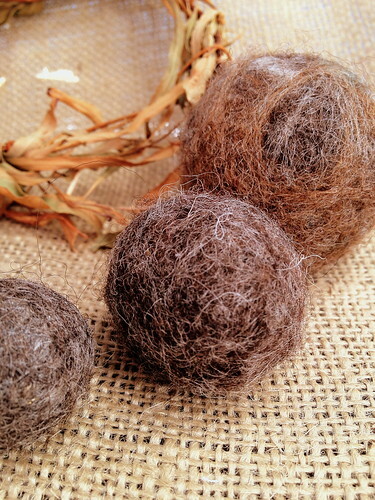 Using natural wool from Hillspring Eco-Farm, a local organic farm, we will wind wisps of fibers into natural felt marbles. This simple process creates marbles that can be used for games, threaded into a necklace, or massed in a handmade garland.